The New Jersey Department of Health (NJDOH) is reporting that approximately 900 children received potentially compromised vaccines. The vaccines were administered at a Manahawkin practice, which participates in the NJ Vaccines for Children Program. 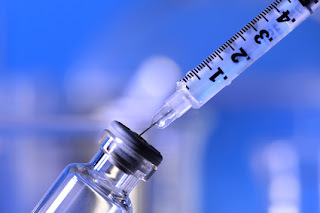 The practice was found to be out of compliance with the Centers for Disease Control and Prevention's (CDC) requirements for vaccine storage and management. Specifically, the vaccine, which were administered between November 1, 2014 through July 28, 2016, may not have been stored at proper temperatures. An additional 38 children who received vaccines after July 28, 2016, received vaccines that were not stored properly. On January 9, the State Division of Consumer Affairs in the Attorney General's Office filed a complaint with the State Board of Medical Examiners alleging gross negligence, professional misconduct and other violations by the practice. An investigation is ongoing. As the NJDOH notes, "Exposure to temperatures outside the range recommended by vaccine manufacturers can make the vaccines less effective. Children who received these vaccines might not be fully protected against vaccine-preventable diseases." Proper storage of vaccines often presents a challenge for practices and ambulatory surgery centers (ASC). Refrigerators in ASCs that house vaccine of any nature (e.g, flu vaccine during the in-season) must be monitored for temperature stability twice a day. Consultants with Infection Control Consulting Services (ICCS), a national provider of infection control and prevention consulting services, frequently discover during onsite visits that ASCs are mostly unaware of the need to monitor and record twice-daily when refrigerating vaccines. ICCS guides its ASC clients not only on compliant practices related directly to the provision of surgery but other infection control- and epidemiology-related practices as well. Learn more about ICCS services for surgery center infection control. Note: CDC offers a free vaccine storage and handling toolkit, which was published in June 2016. It is a comprehensive resource for healthcare providers on vaccine storage and handling recommendations and best practice strategies. The Toolkit includes guidance on managing and storing vaccine inventory, using and maintaining storage unit and temperature monitoring equipment, preparing for emergency situations and training staff.